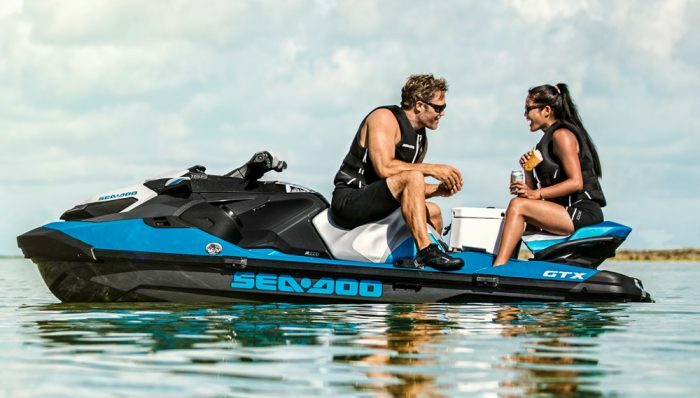 The 2018 Sea-Doo RXP-X 300 combines neck-snapping power and acceleration along with precision handling to create a truly impressive musclecraft. 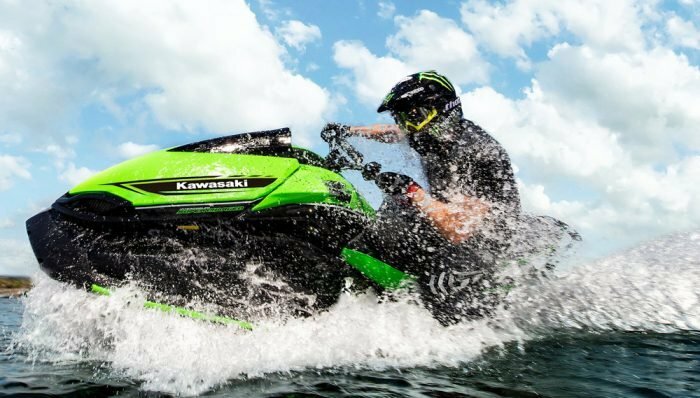 When it comes to the 2018 Sea-Doo RXP-X 300, parent company BRP clearly has control issues…and that’s a good thing. 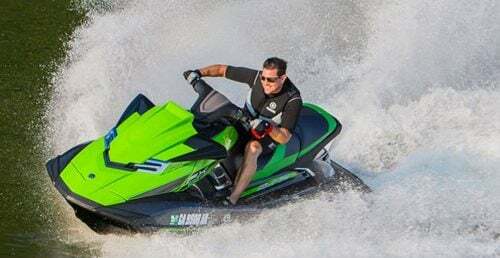 High-horsepower and aggressive handling may be the hallmarks of a high-performance musclecraft, but power and handling need to be reined in and controlled for riders to truly push these powerful craft to their potential. The RXP-X 300 does all that…and more. 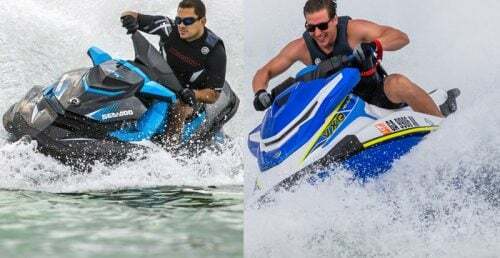 Sea-Doo handles the first part of the high-performance formula with the most potent engine currently in the company’s arsenal, the 1,630cc Rotax ACE 300. A replacement two years back for the Rotax 1503 that originally powered the RXP-X, the ACE 300 boasts larger displacement, runs cooler, is more efficient and features a maintenance-free supercharger. Most consumers, however, will probably just want to know the stats. Again, roughly 67 mph is the governed top speed (a speed that is easily surpassed with simple aftermarket add-ons for those who demand more), and acceleration is brutally strong. A trademark of the ACE 300 is that the power doesn’t falter in extremely aggressive turns or when encountering waves. Tailor that acceleration to your liking with two acceleration modes, Touring or Sport. The former provides a gentler curve en route to that top speed, the latter produces a harder-hitting, more aggressive pull off the bottom and through the midrange. A third, eco-minded mode can also be activated to produce the best fuel economy. New for 2018 is Launch Control, a handlebar-activated system that when promises to produce the best acceleration by automatically adjusting the thrust angle at the pump as the craft initially accelerates and then planes. The second part of the high-performance formula, handling, comes courtesy of a truly unique hull design. 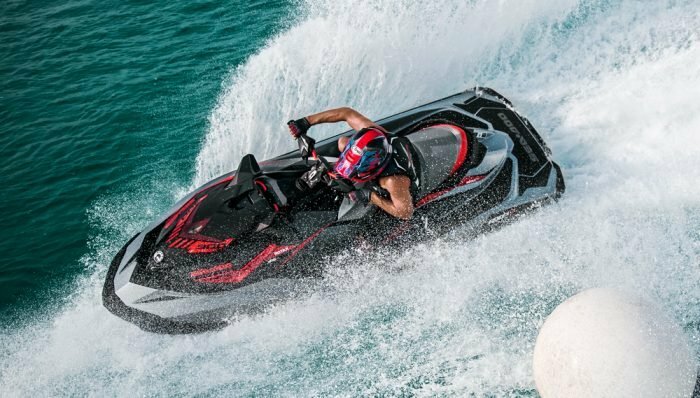 The 2018 Sea-Doo RXP-X 300’s “T3” hull borrows from that letter in that it features almost a two-tiered running surface. When cornering at speed, the softer chines forward (the horizontal portion of that “T”) allow the craft to intuitively roll into the turn and a combination of chines, strakes and angle produce some of the sharpest manners in the industry. In straight-ahead speed runs, the craft runs more on the center (or the vertical portion of the “T”) to reduce wetted surface and lessen drag. Further fine-tuning happens via user-adjustable sponsons which increase or decrease the sharpness of the craft’s cornering ability. Winglets, mounted at the tips of those sponsons at a right-angle to the surface, guarantee the sponson maintains grip even as the hull is pushed to extreme cornering angles. 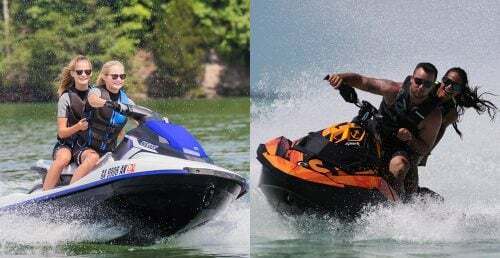 Power and ultra-aggressive handling is great, but the catch for most riders is that as speeds have increased craft have gotten harder and harder to maintain control of, particularly in the turns. It’s physics…and physiology. As the hull bites the water and reacts so aggressively below, the rider is left to react above, typically with their upper body. That can be a struggle, as most riders’ upper body strength pales in comparison with their lower-body strength. 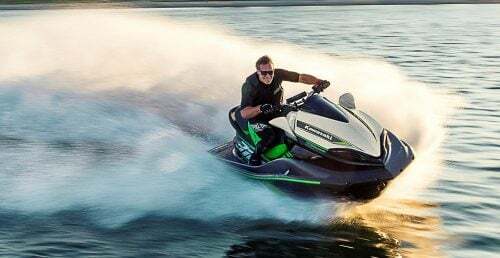 BRP’s solution with the 2018 Sea-Doo RXP-X 300 was to spend just as much time on the ergonomics as it did on hull and horsepower and find a way to transfer that strain in the turns from the weaker arms to the much stronger legs. The resulting “ErgoLock” system starts with an hourglass-shaped saddle that, rather than push rider’s legs wide like the average PWC saddle shape, allows them to maintain a more natural posture. The curves invite the thighs to grip the saddle; angled footwell chocks allow riders to brace their legs and feet to provide additional leverage over the craft. Flared cushions forward carve out over the thigh to further the secure, locked-in feel. Add a new-for-’18 telescopic steering system (ironically borrowed from the Spark TRIXX) with 73mm of vertical adjustment range, and the result is a craft you almost become a part of. Power into a corner and you don’t feel like you may be high-sided, but instead in almost total control and, over time, less fatigue. 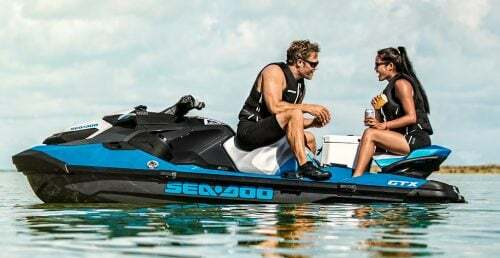 Performance and handling may be the 2018 Sea-Doo RXP-X 300’s calling card, but creature comforts aren’t ignored. 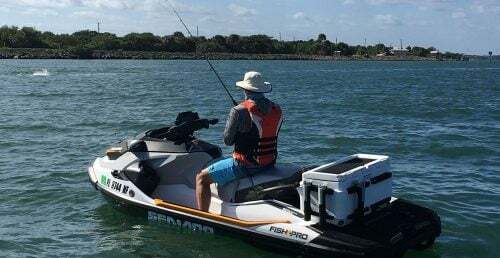 Fast-acting electric trim works hand-in-hand with horsepower and hull to adjust the craft’s running attitude, dropping the bow for more hull in the water when turning and lifting that bow for maximum top speed in the straightaways. Intelligent Brake & Reverse enhances low-speed handling and provides stopping power at speed by bringing the reverse bucket into the picture to deflect water flow. At slow speeds it can mimic a boat’s forward, neutral and reverse gearing, all while keeping a rider’s eyes on the water and both hands on the controls. At high-speed it provides rapid stopping power to avoid an obstacle. Less attention-grabbing extras include dual theft-prevention lanyards (one of which retards top speed for new riders), grips with built-in palm rests, and additional gauge functions (time/distance to empty, top/average speed and RPM, lap timer and engine temp). Toughest competitor? 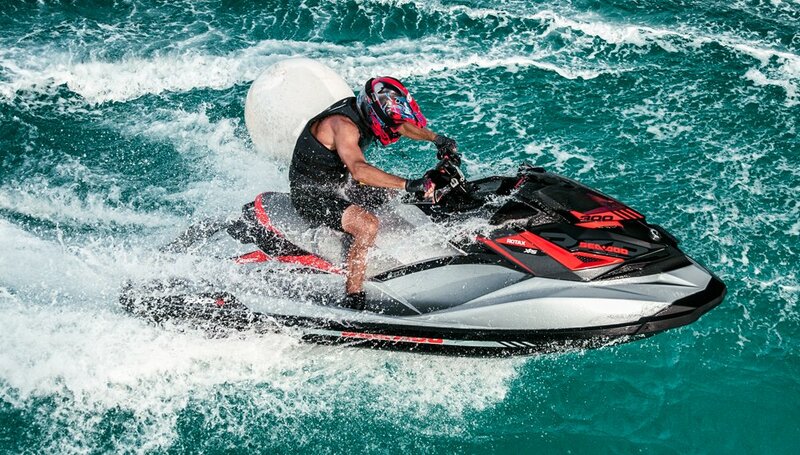 Arguably Yamaha’s GP1800 ($13,999), another extremely aggressive handling two-seater with an abundance of power. 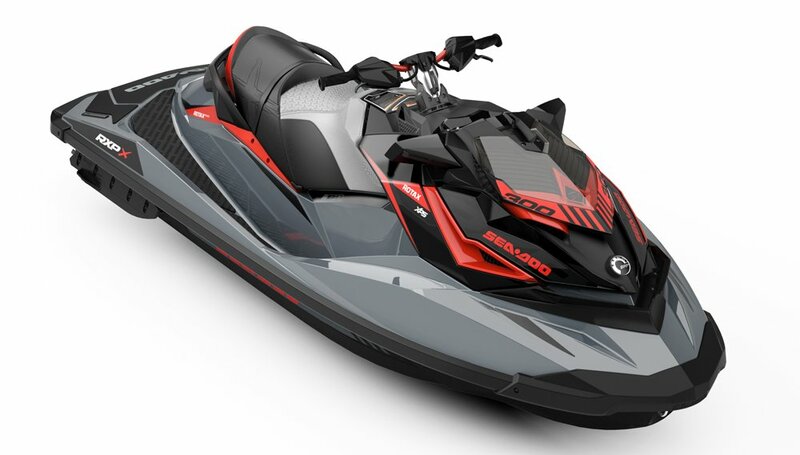 While Yamaha does not go to the ergonomic lengths of the 2018 Sea-Doo RXP-X 300, the GP1800 does feature a “race-inspired” seat with a significant rear bolster to keep riders locked in place. Handling is every bit as aggressive as the RXP-X, while features include RiDE, Yamaha’s own take on electronic reverse, low-speed forward/neutral/reverse handling and rapid deceleration from speed.